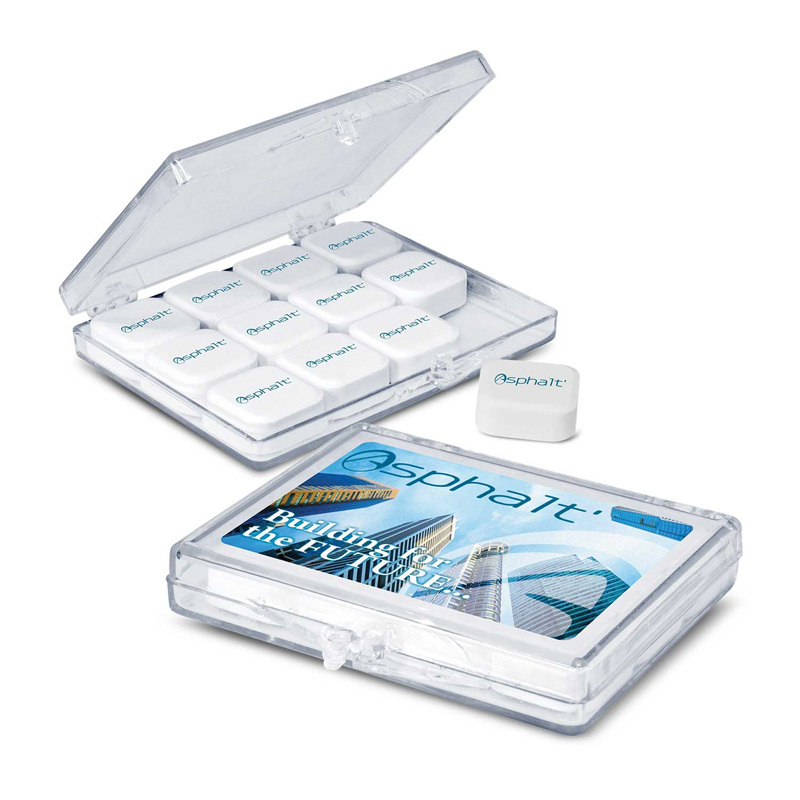 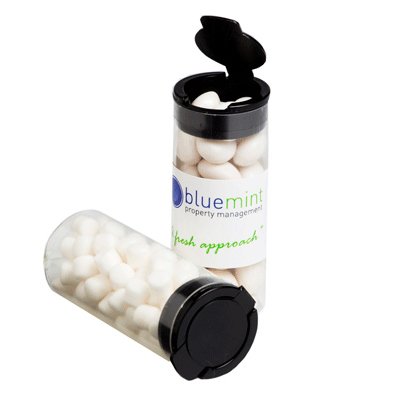 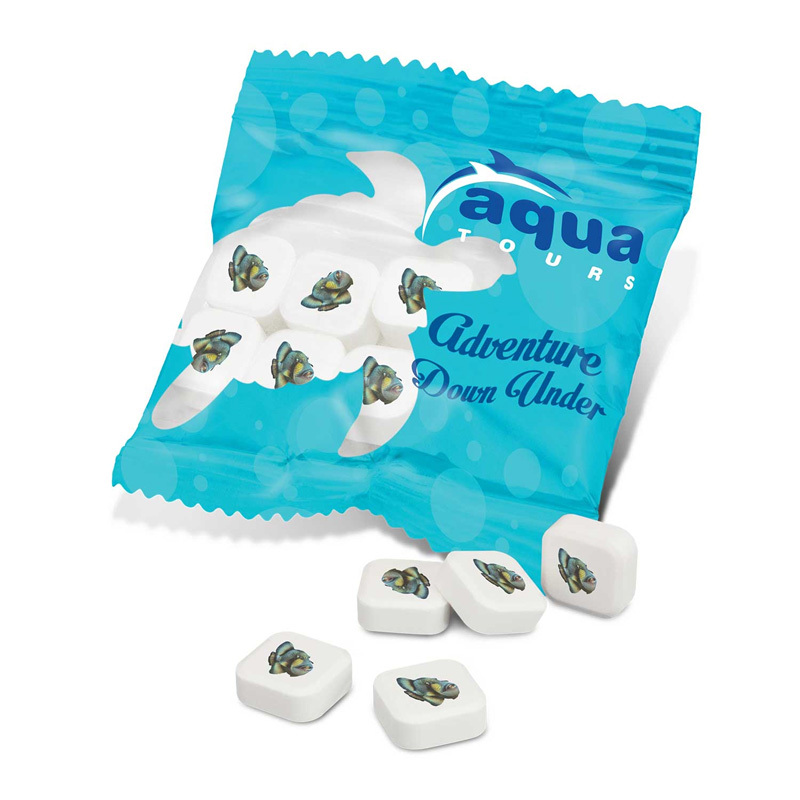 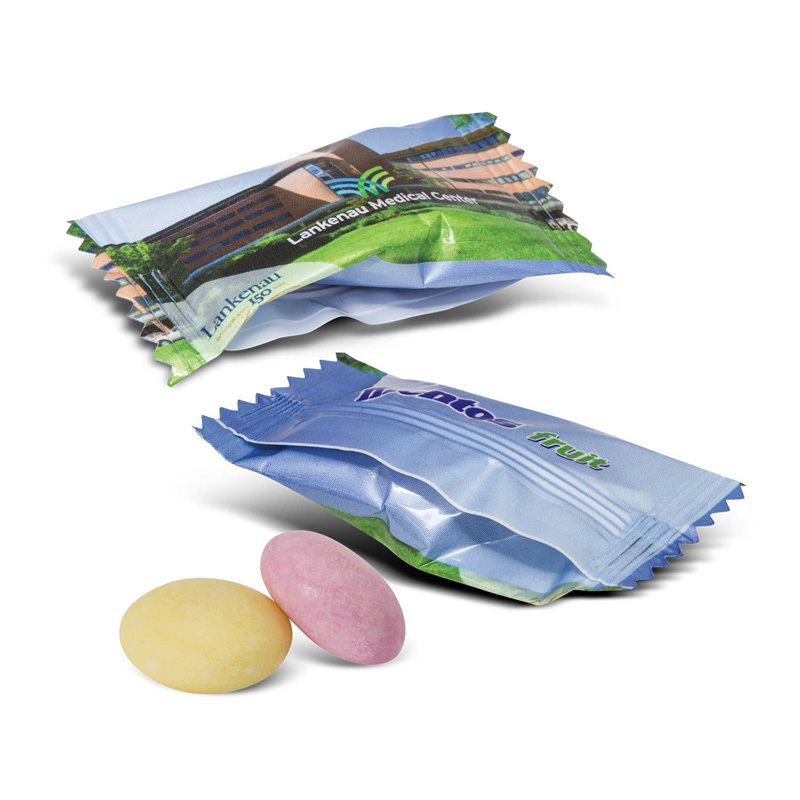 House shaped mint card which is filled with seven grams (approximately 50 pcs) of sugar free mints. 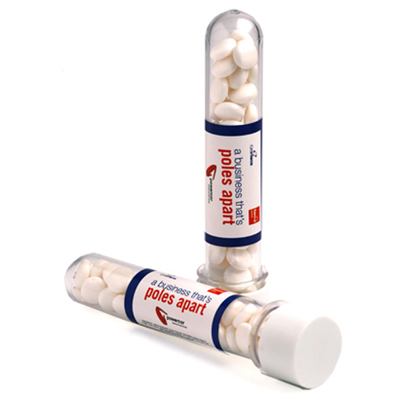 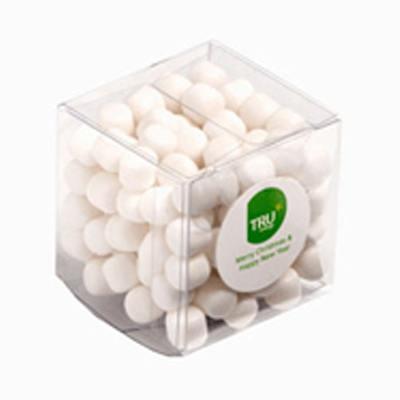 Biz Card Treats with Mints. 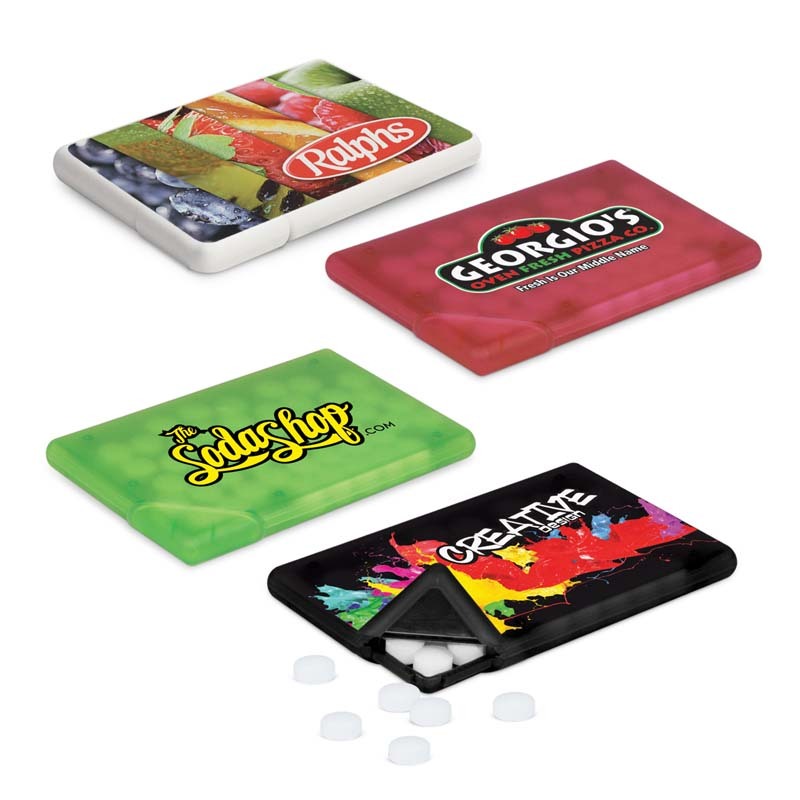 Business Card: Provided BY CUSTOMER and we will do the rest. 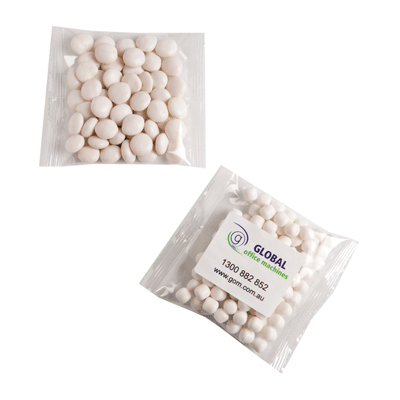 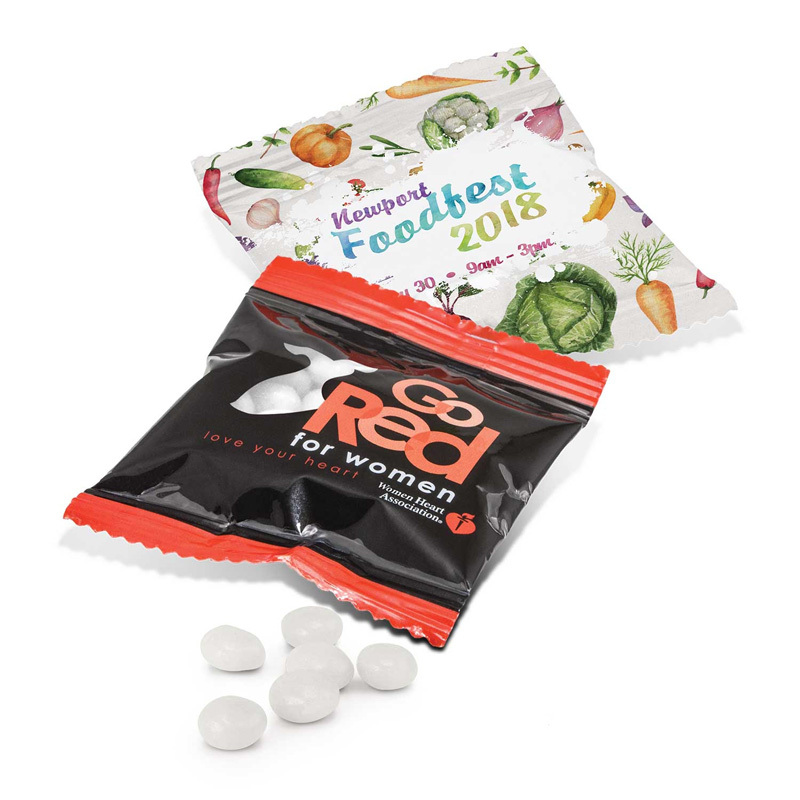 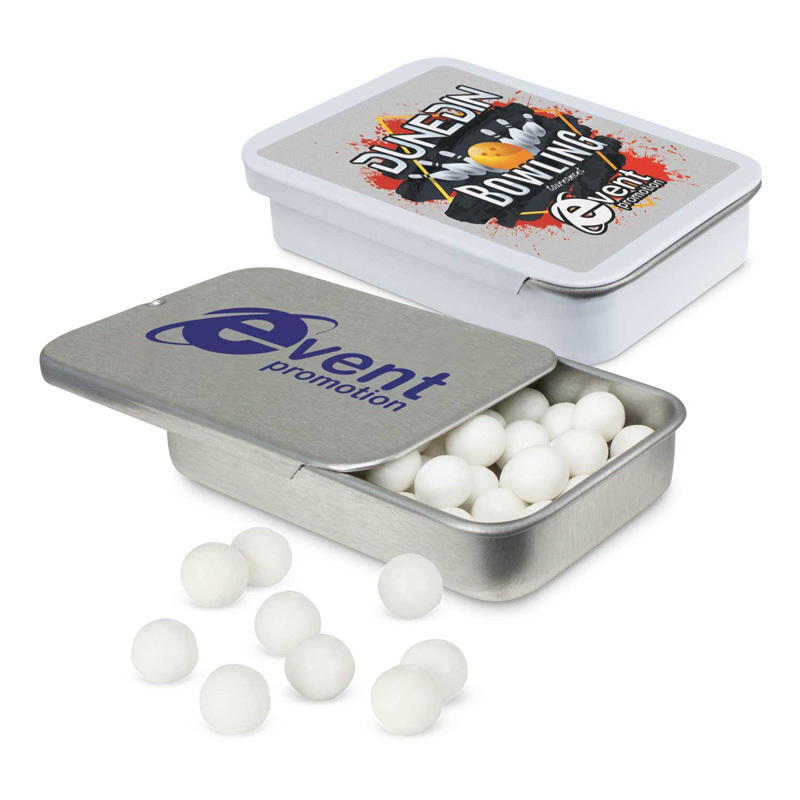 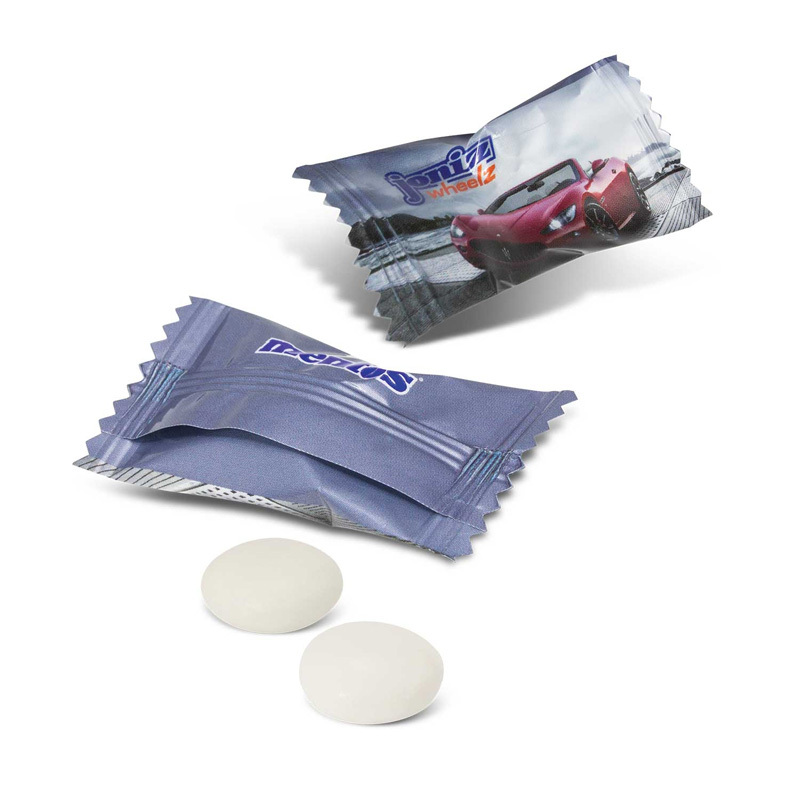 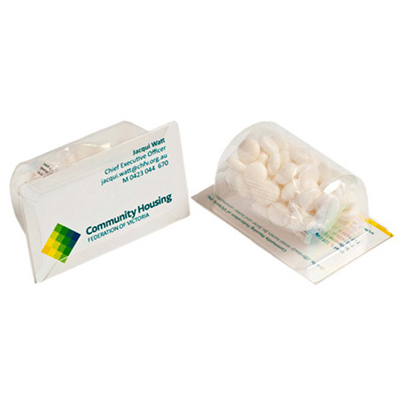 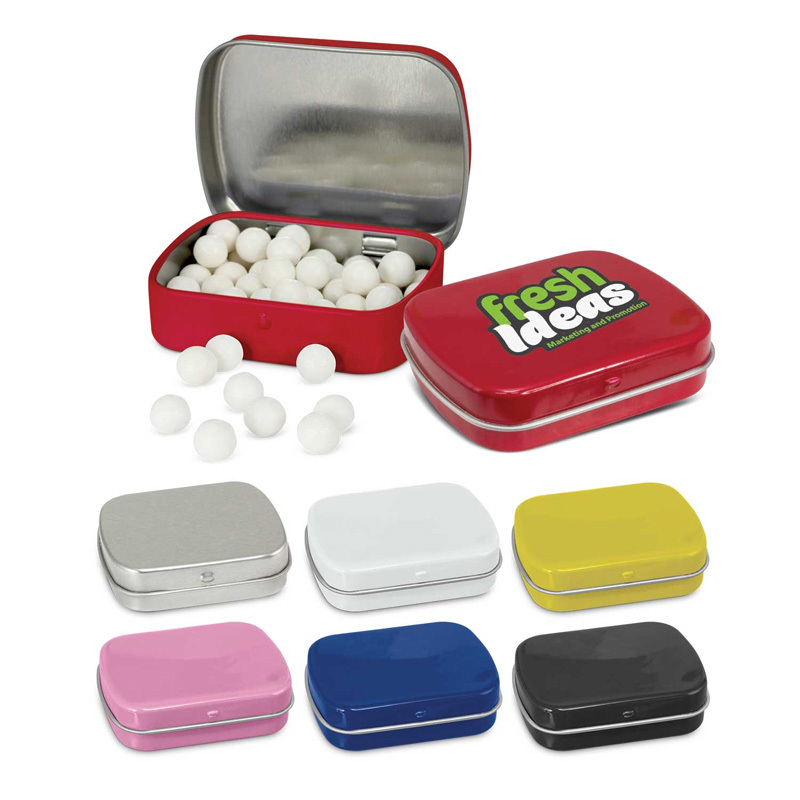 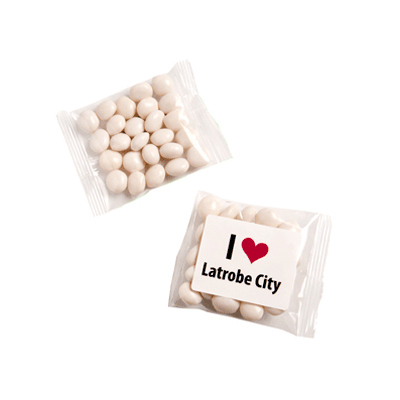 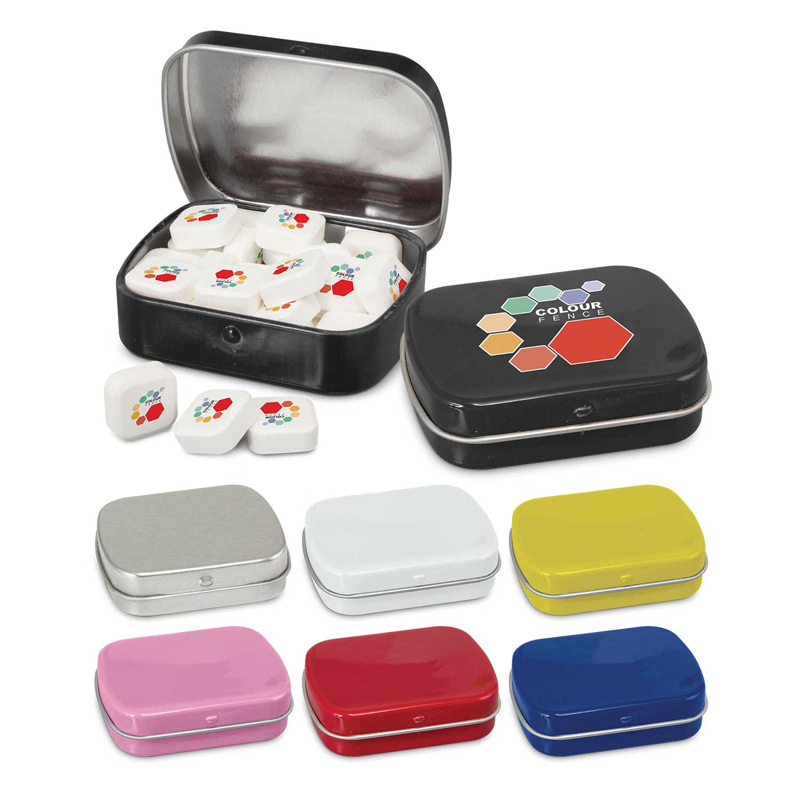 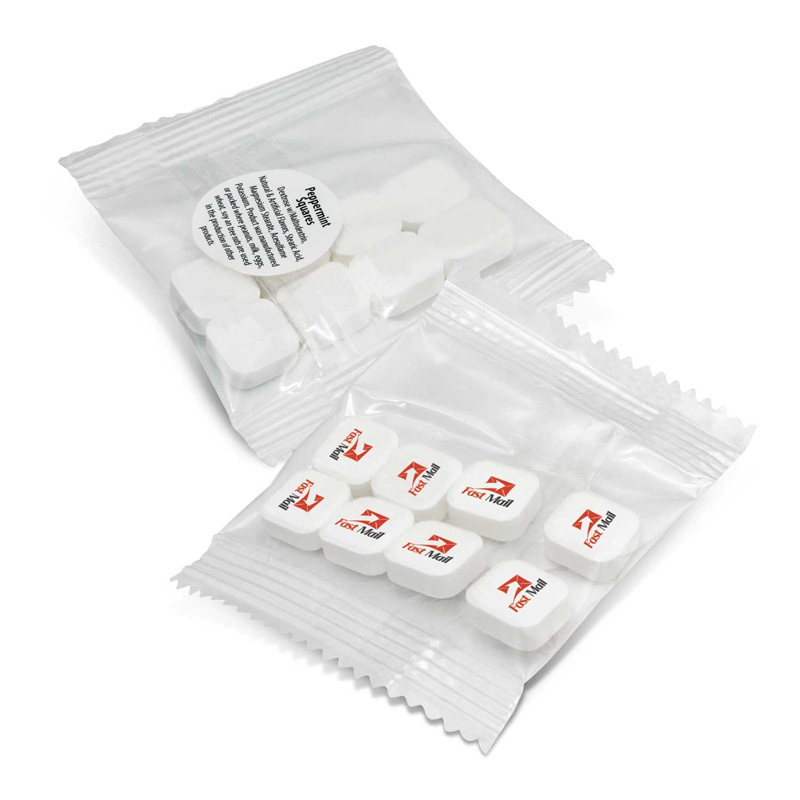 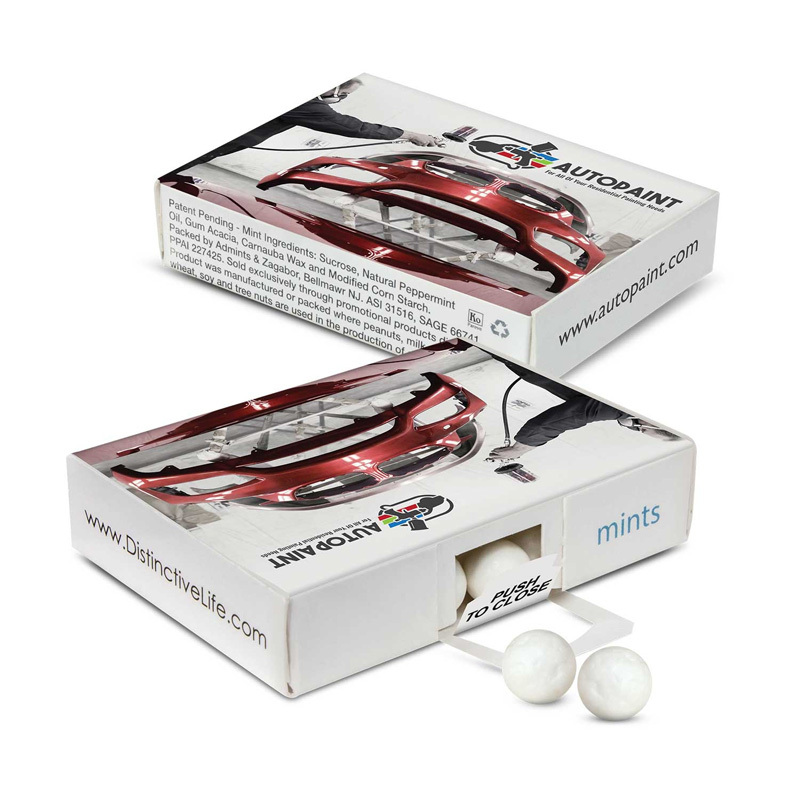 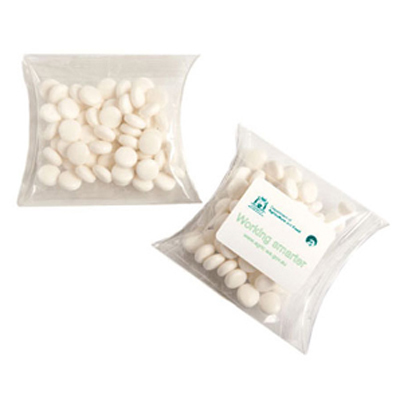 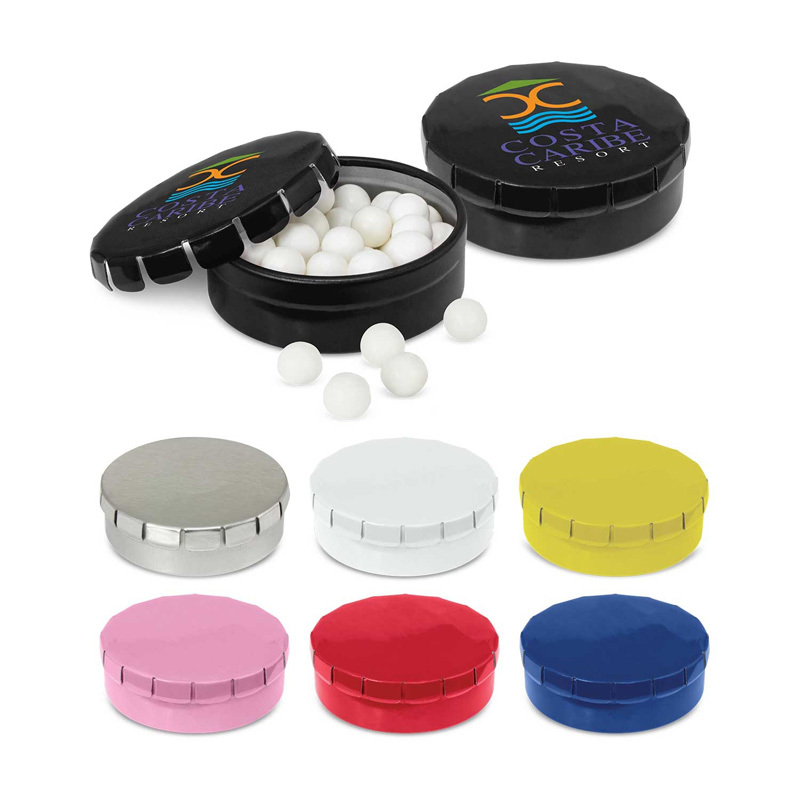 50g Mint or CHEWY Mint bag placed inside Bizcard Box. 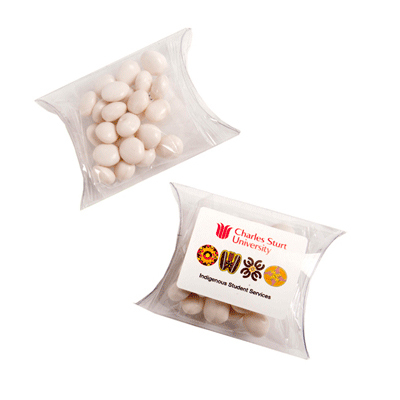 Sticker on front of box at additional cost.